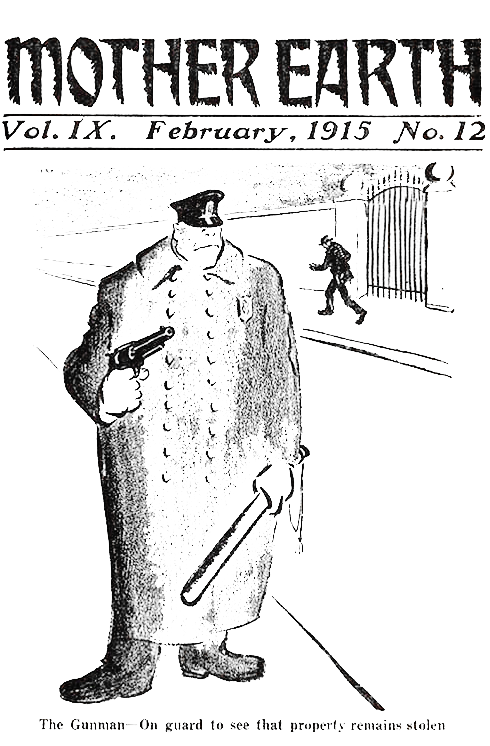 Emma Goldman | Take Back Halloween! “If I can’t dance, I don’t want to be part of your revolution.” Did Emma Goldman (1869-1940) really say that? In a word, no. The sentiment was certainly hers, and in her memoirs she told of being admonished for dancing when she was a young radical; but the actual words? No. The quote (or rather, misquote) is best thought of as a paraphrase of Emma’s philosophy. She certainly did love to dance. She loved life, period: food, wine, books, music, romance. 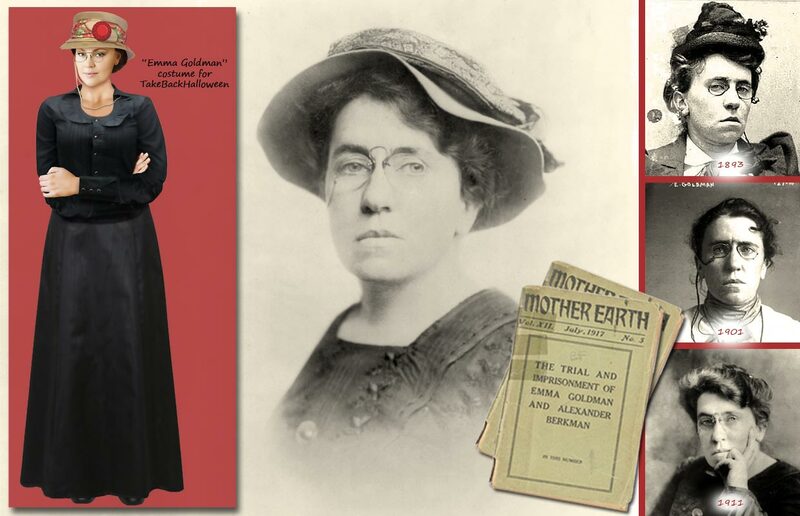 “Red Emma” was the most famous anarchist in America, notorious for her stances on everything from labor unions to free love. But despite the scurrilous stories spread by her opponents, Emma’s anarchy had nothing to do with throwing bombs. What she believed in was freedom. She wanted people to be free from oppression, whether that oppression was economic or religious or social. It’s no wonder she’s been adopted as the patron saint of so many liberation movements over the past half-century. 1. 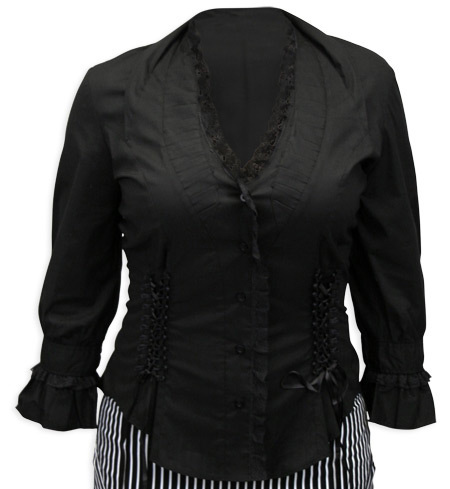 Evangeline blouse in black. The external lacing on this blouse makes it completely inauthentic, but it does have a nice shape. A more conservative option is the Lenora blouse. 2. Gibson Girl skirt in black moire. This is a full-length skirt, despite the way it looks in the picture. An extremely similar but less expensive skirt is available here. 3. 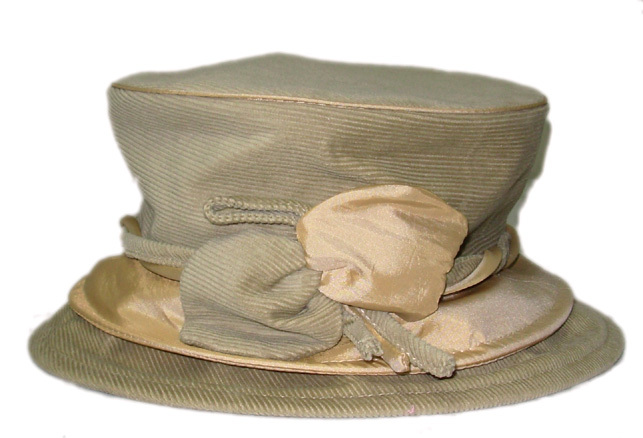 Corduroy and satin hat in tan. The shape of this hat looks a lot like the one Emma wore; we suggest dressing it up with a scarf and cockade (next). 4. 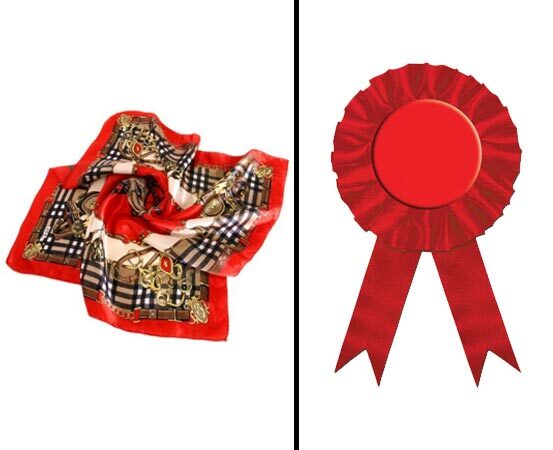 Red print scarf and red cockade. Wrap the scarf around the crown and tuck it behind the fabric leaves of the hat. Add a red cockade (which nowadays we usually call a “rosette”) for revolutionary flair. Just cut off the end ribbons so it won’t look like you’ve won a prize. Although black is the color associated with anarchists now, back in Emma’s day the more typical color was red. Revolutionaries would sometimes wear a cockade in their hats or on their lapels to show their allegiance. 5. Pince-nez glasses. 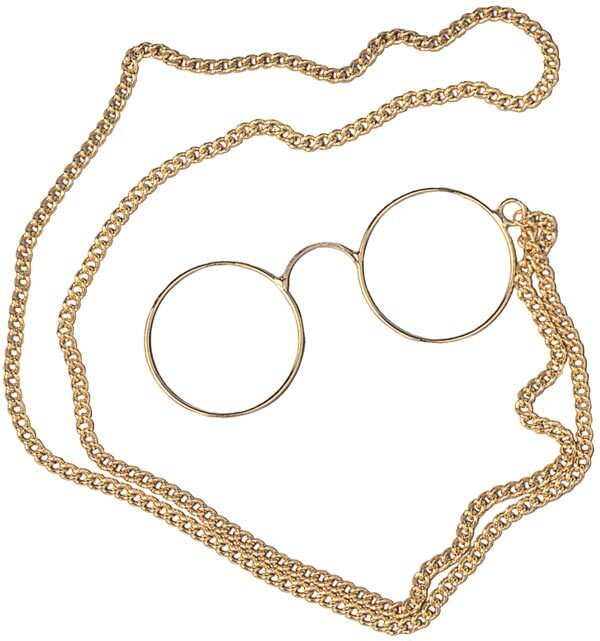 The all-important pince-nez! 6. 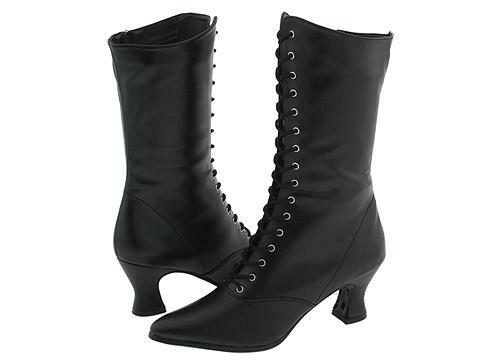 Victorian lace-up boots . Cigar: Emma smoked cigars, which we do not recommend (evil addiction! run away, run away!). But if you do smoke, or if you just want to carry a prop and be in character, get a cigar. Blintzes: If you’re going to the kind of party where people bring food, we suggest blintzes. Seriously. Emma was a great cook, and blintzes were her specialty. Cherry blintzes, perhaps?